The Selway-Bitterroot Wilderness is a vast domain that encompasses over 2,000 square miles of rugged Idaho and Montana backcountry. In this completely revised and updated guidebook, detailed hike narratives, extensive introductory material, and accurate maps guide you to the rushing waterfalls, rustic lookouts, high peaks, and steaming hot springs scattered throughout this wilderness complex. With over 70 hikes covering access points in both Idaho and Montana, this definitive guidebook describes 600 miles of nikes in detail and provides cursory descriptions of another 300 miles of backcountry routes covering all or portions of six forest service ranger districts in four national forests. 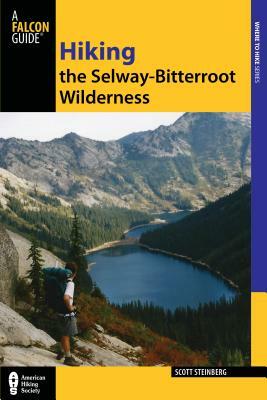 Scott Steinberg began his travels in the Selway-Bitterroot Wilderness with a backpacking trip to Kerlee and Tin Cup lakes in August 1993. He personally hiked every trail in this guidebook, covering nearly 1,500 miles. He lives in Palo Alto, CA.